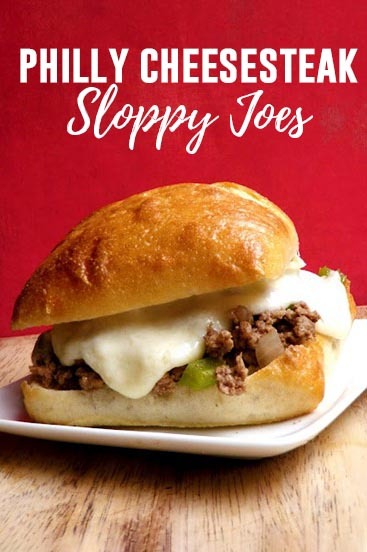 Philly Cheese Steak Sloppy Joes are about to become your new favorite dinner! Easy enough for a weeknight and tasty enough the entire family will enjoy! Searching for an easy dinner recipe? Look no further! 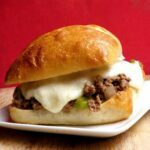 This Philly Cheesesteak Sloppy Joe recipe is a winner! We have made it over a dozen times and each time it is received with rave reviews! The list of ingredients are minimal making it the perfect weeknight dinner! 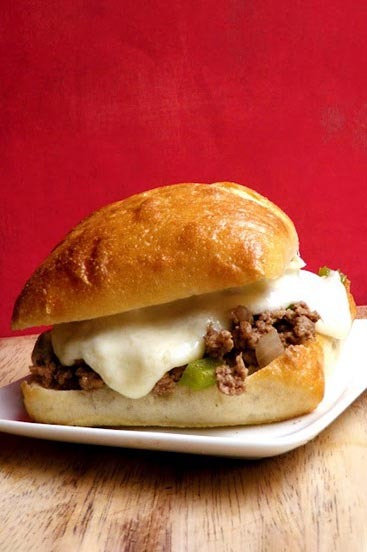 Beef is browned with onions and peppers, seasoned to perfection, and smothered in cheese sauce. AMAZING. Bonus? The meat mixture is completely freezer friendly. Make a large batch, divide, and freeze. When you are ready to eat simply heat it up and make the cheese sauce. Place on a toasted bun and serve. 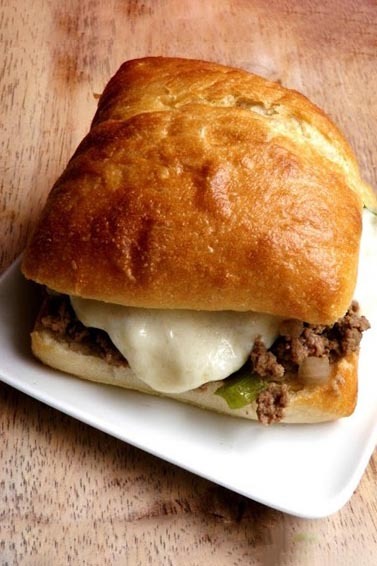 TIP: Not a fan of provolone? No problem! Simply switch out the cheese for your favorite flavor. We have used medium cheddar and pepper jack with great results! Brown your beef in a large skillet. Add the chopped onion and pepper. Continue to cook an additional 3-4 minutes, or until your onions are soft. Season with salt and pepper. Stir in your beef stock, and bring to a light simmer. Reduce heat to low, cover, and start the cheese sauce. In a medium sauce pan, whisk together the butter and flour. Heat until just bubbly. Slowly incorporate the milk. Bring to a boil, and allow the sauce to thicken. Once your desired thickness is reached, remove from heat and stir in the provolone. Keep stirring until it is fully melted. Lightly toast your buns using a small amount of butter and your broiler. Top the bun with the meat mixture followed by some cheese.